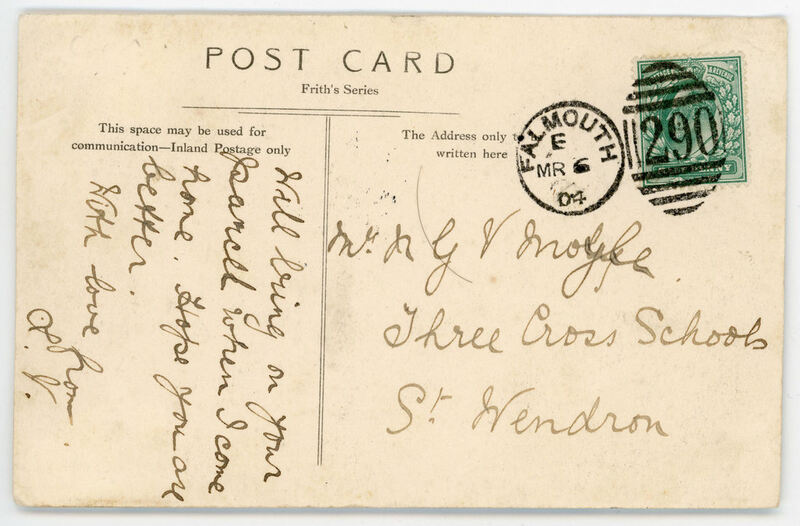 A nice Cornish postcard from 1904 with a 'Falmouth - 290' duplex cancellation. 1st Value Indicator with a Slogan Postmark celebrating 50 years of Machin definitve stamps. 2nd Value Indicator with a Slogan Postmark celebrating 50 years of Machin definitve stamps. Welcome to the website of the Falmouth & District Philatelic Society. We hope that you enjoy your visit and you will drop in again, or decide to pay us a visit and even become a member.